Life and death, marriage and love, sacrifices and surprises—J.R. 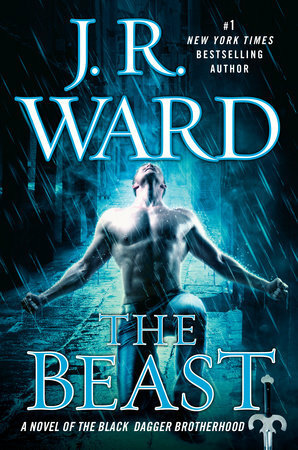 Ward stirs things up in this intimate, evocative next chapter in the Black Dagger Brotherhood. In The Beast, Mary and Rhage acknowledge the widening rift between them, especially after Rhage rushes straight into danger, consequences be damned. But consequences indeed befall when he’s mortally wounded, forced to face the insecurities and unacknowledged truths thriving within. Mary and Rhage had poured their hearts into their work, diverging attention from the chasm between them, hiding emotions in what they still couldn’t define. With death at the door, however, truths sharpened into focus in a way that would change their future, for better or worse. Meanwhile, the Lessening society continues to amass force despite taking blows. And the Band of Brothers (in its somewhat disunified state) is still on the loose after their failed attempt to dethrone Wrath. While external forces continue to threaten the Brotherhood and their mission, more than just Mary and Rhage fight internal battles, especially as surprises rock the group towards the novel’s end. While most of the book focused on the evolution of Mary and Rhage’s relationship, the last quarter or so of The Beast had me breathing fast, furiously flipping pages. Emotional surprises and plot twists signal big things to come as this consistently compelling and exciting series evolves. This immersive, introspective yet rousing next installment will leave you clamoring for more.